EXPERIENCE NEXT GENERATION. SPEED RUNS DEEP. 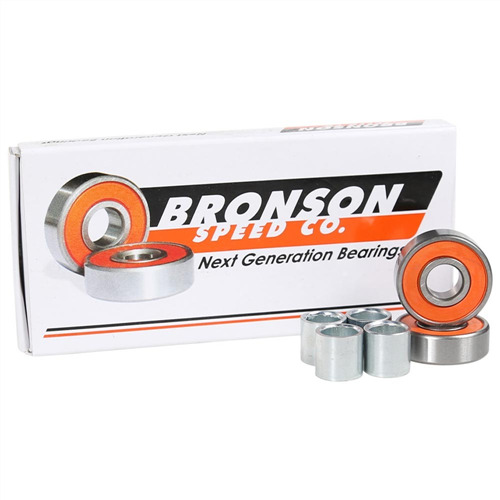 The Bronson Speed Co. G2 Bearings are the latest in bearing technology, featuring deep groove raceways to improve bearing lubrication and spin. Straight edge frictionless shields to reduce dirt and moisture intrusion and added high speed ceramic oil to eliminate break in period and keep you rolling faster straight out of the box.